As deep and engaging as ever — Terraria is just one of several games revamped and re-released less than two years following its original launch, but so what? Although I have a few reservations about the value that this version offers versus its peers (more on that in a bit), the Xbox One edition is still a massive, compelling and amusing sandbox experience delivered in one huge package. The exploration, crafting, building and RPG elements blend together excellently, and the pace is still perfect. 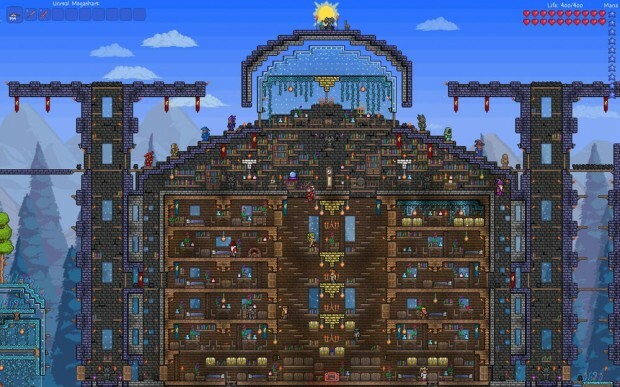 Do as much or as little as you like — Terraria won’t mind. 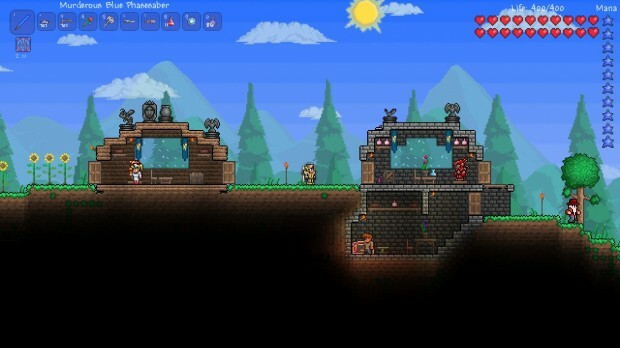 Things actually happen — Sure, you can play Terraria like you do Minecraft — exploring, mining, collecting and building things in relative safety. Alternatively, you can dig to the bottom of the Earth, summon demons, challenge a huge number of (really tough) boss baddies, craft ridiculous weapons and armour and kit your house out with increasingly impressive treasure. Not only are these things fun, lasting and challenging, but both local and online games can feature up to four players, which certainly keeps things interesting. V1.2 with extras — For all the new Terraria players out there, it will be of interest to you to know that the Xbox One version features all of the patch v1.2 features which we described in this article in addition to the already massive base game. For returning players, the update features enough extra content to add even more depth to the already expansive arsenal of weapons, armour and other collectables. If you haven’t played Terraria for a while, then v1.2 adds enough new stuff to make the game feel at least somewhat new again. It’s also worth mentioning that the Xbox One version runs at a much higher resolution than the Xbox 360 version, which provides more viewable screen area. The downside to this of course is that the cursor, characters and everything else now appear a little too small on my 50-inch television. 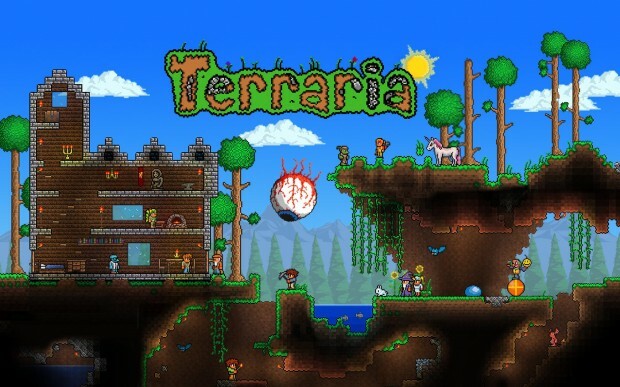 Nothing new under the sun — When reviewing the Xbox 360 version, I explained that there is very little to complain about when it comes to Terraria, and in general that same point of view still applies. Unfortunately, however, the Xbox One version features little to differentiate it from the Xbox 360 outing (which also benefits from the v1.2 additions) except for higher resolution graphics and bigger worlds. Another gripe is that there is currently no option to transfer saved characters or worlds from the Xbox 360 version. Compounding these problems is the inexplicably high Xbox One price tag of $19.99, which at $5 more than the Xbox 360 version is far too much for a remake that adds next to no additional content, especially considering that the original is often available for even less via one deal or another. 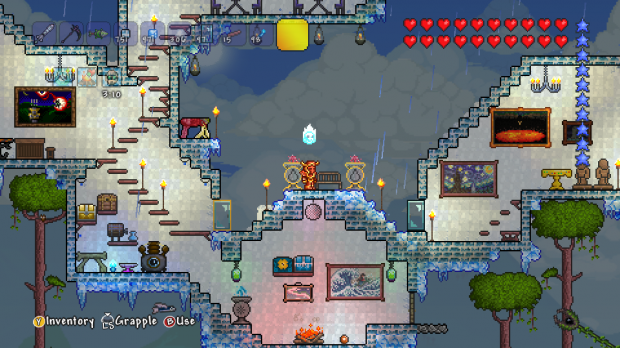 Second best — Perhaps the most disappointing thing about the Xbox One version of Terraria is that it clearly plays second fiddle to its Sony stablemate. The PS4 version makes use of the DS4 controller’s touch features, but there is no Kinect integration on Xbox One. 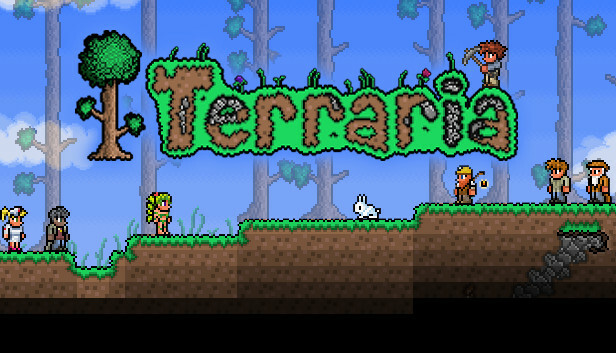 PS4 owners also receive the Vita version included within the price when buying Terraria for Sony’s console. 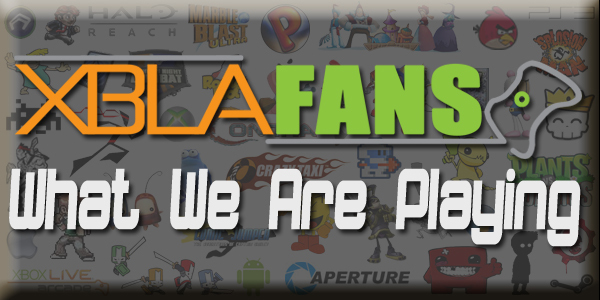 A companion app has been promised that will allow players to view their world map on a smartphone or tablet whilst on the move, but it was not available for XBLA Fans to test out in time for this review. These platform discrepancies, the high price and the fact that the Xbox One version of Terraria has barely been mentioned in 505 Games’ marketing collateral come together in such a way that this feels like a rather expensive, somewhat cynical re-release. Terraria is still a superb game worthy of your time and money, but the Xbox One version, at the current price, feels like a bit of a slap in the face. Aside from diehard fans, there is very little reason for Xbox 360 owners to purchase an additional version, whilst new players are likely to be put off by the cost and fact that the PS4 version does appear to be a more complete release. Part of me wonders if the next-gen Terraria releases aren’t actually being used as an unwary pawn in the battle between Sony and Microsoft — since we all know who owns Minecraft nowadays, don’t we?